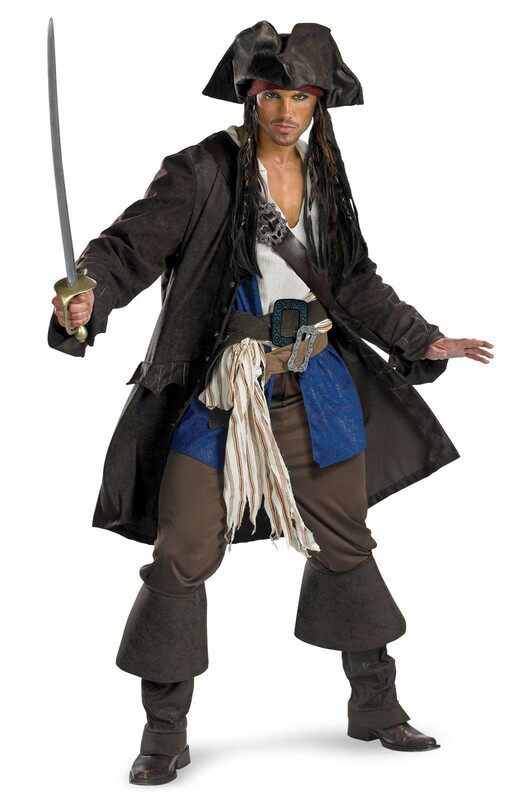 The Pirates of the Caribbean Captain Jack Sparrow Prestige Adult Plus Costume includes a character jacket shirt with attached vest across-the-chest belt with buckle fabric sash two belts with attached buckles pants and boot covers. Also includes hat and bandanna with attached hair. 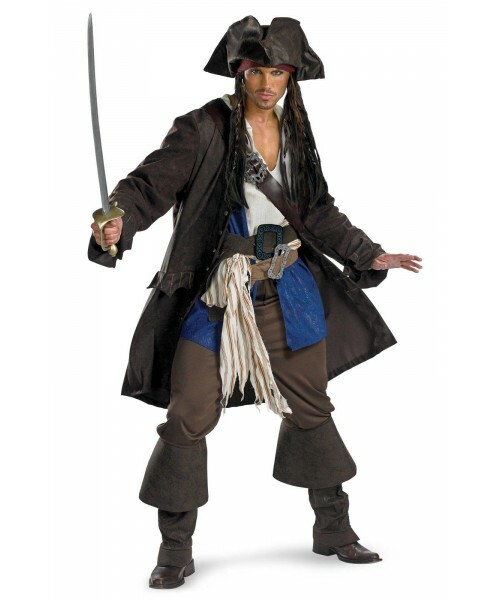 Does not include sword or shoes. This is an officially licensed Disney product.